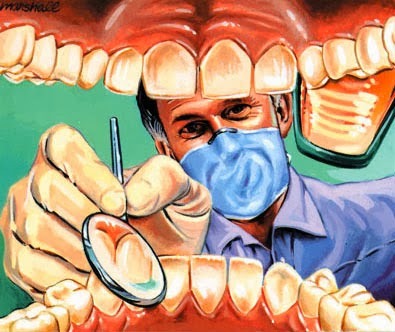 If you don't brush your teeth twice a day and eat junk food, and go to the dentist and find out you have a cavity, you don't blame the dentist. You blame yourself, and so will the dentist since it was always your job to brush your teeth and avoid junk. But when we fail to lose weight on a diet, with a nutritionist, a book, or a work out, we blame it on the book, the DVD, the nutritionist, the bootcamp guy, etc. Why don't we blame ourselves? Same way we do with our teeth, I messed up, I should have taken care of my health every day. People take better care of their teeth than they do their bodies because they believe the teeth is their responsibility, but their bodies? That's not their fault. But the health industry makes a lot more money if they can convince you they can take care of it for you. It's a lie. Hygiene - Conditions or practices conducive to maintaining health and preventing disease. If you don't brush your teeth, you messed up and you put your teeth at risk. If you don't take care of your health daily, you messed up and you put your health at risk. Just as a failing restaurant can change the look of the inside, the outside, the menu, it will still fail unless the owner can change. You can try different diets, work outs, but unless you can change how you think, nothing will ever work. More ways your mind can be your biggest limiting factor.